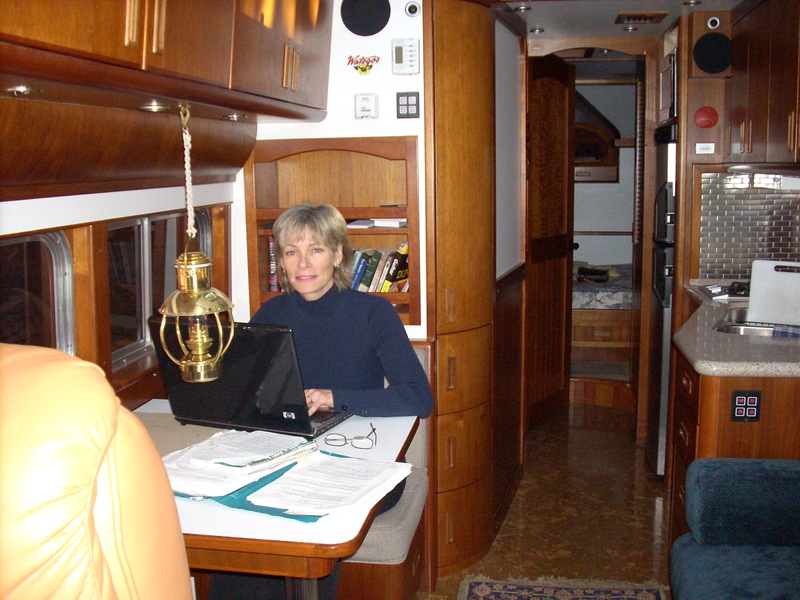 When we live in our restored 1948 bus, I get to write with a view to anywhere. This is the bus that my character, detective Mary Swift, lives in too. We share it.